After “the black Friday” for Italy on the financial markets, the week began with news of an emergency meeting, convened in Brussels by European Council President Herman Van Rompuy. 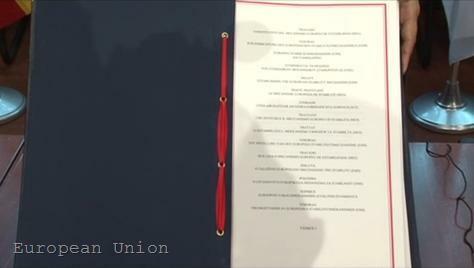 The invitees were European Commission President Jose Manuel Barroso, European Commissioner for Economic and Monetary Affairs Olli Rehn, Eurogroup President Jean-Claude Juncker and European Central Bank President Jean-Claude Trichet. 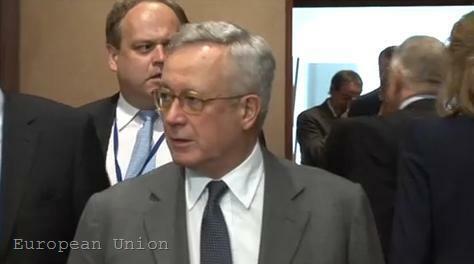 Media reported that Italian Treasury Director Vittorio Grilli also attended the meeting. 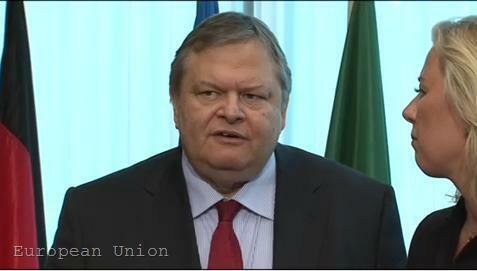 A spokesman of President Van Rompuy - Dirk De Backer - denied Mr Grilli's participation to be connected to the situation in Italy and that there was any urgency in convening the meeting. He said that it was not a “crisis” meeting at all, but a “coordination” one. His statement reminded too strongly to the one he made two months ago, denying a secret meeting on Greece. At this stage the outcome of Van Rompuy's meeting is unknown. On Friday, the borrowing cost for Italy surpassed 5.2% and although this is far from the Greek levels, investors are worried about how the country will continue to service its foreign debt - Italy's sovereign debt ratio, relative to GDP, is the second largest in the euro area after the Greek. The reason for market concerns has become, apart from the large debt and the sluggish economy, the rumours that Prime Minister Silvio Berlusconi intends to remove Finance Minister Giulio Tremonti. Mr Tremonti enjoys the confidence of international financial institutions and markets, which see him as the only guarantor of the stability in Italian public finances. The prospect that Italy may also need to be rescued is frightening, because the Italian economy is the third largest in the euro area and more than two times bigger than that of Greece, Portugal and Ireland altogether. According to some financial experts it may require the size of the rescue fund for the euro area to be doubled to 1.5 trillion euros (it is currently agreed to 700 billion euros) in order to assist Italy if necessary. This issue is not currently on the table, Dutch Finance Minister Jan Kees De Jager told reporters ahead of the meeting of euro area finance ministers. 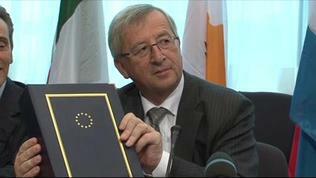 They once again discussed the situation in Greece and the second bailout for the country. The most controversial issue continues to be private sector involvement in the form of some kind of debt restructuring. As euinside wrote, there was a change in Member States' position, after it became clear that even voluntary, any “significant” participation of the banks will be interpreted by rating agencies as a Greek default. Last week Mr De Jager commented that it there was nothing to lose, a mandatory participation should be insisted on. On July 11 he explained that his words had been exaggerated – I didn`t say that there should be a mandatory, but a substantial private sector involvement, Mr De Jager said. 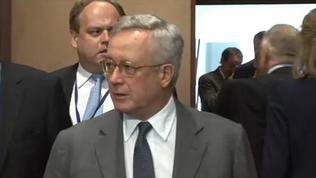 In the same vain spoke Belgian Finance Minister Didier Reynders: “I am more searching for a solution than for a rating. If it's possible to have a solution with a rollover coming from the private sector and then funding coming from the IMF and the European Union, it's enough for me. If it's with a negative assessment from the ratings agencies, that's not a real problem.” According to his Spanish counterpart, Ms Elena Salgado, “the problem with the ratings agencies is a conflict of interest and lack of competition in the first place”. Tensions between the EU and the rating agencies continue to rise and some sharp comments came from the European Commission. 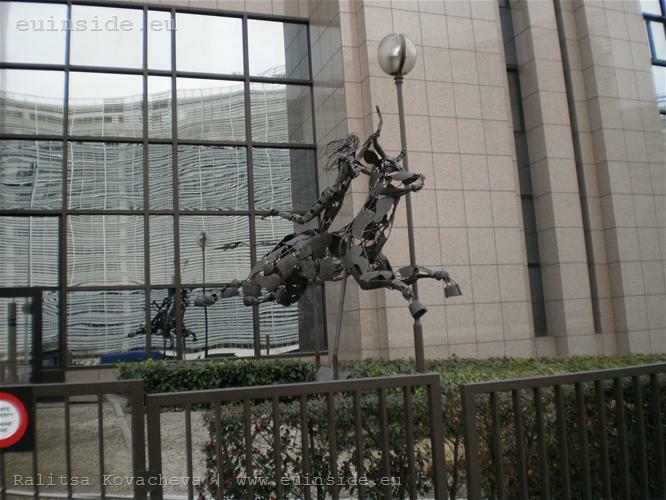 Internal Market and Services Commissioner Michel Barnier proposed the EU to prohibit the agencies to determine credit ratings of countries subject to a bailout. His colleague, EU Justice Commissioner Viviane Reding told German newspaper Die Welt, that the issue of rating agencies should be placed at the G20 level and “either the G20 states jointly decide to smash the cartel of the three US rating agencies — for example the US could be asked to make six rating agencies out of the three — or there will be European and Asian rating agencies created”. According to Ms Reding, “it cannot be that a cartel of three US firms decides the fate of whole economies and their citizens”. 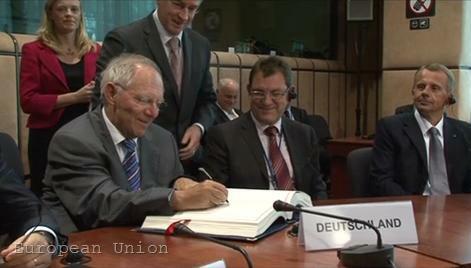 At the beginning of their meeting the eurozone finance ministers signed the treaty establishing the European Stability Mechanism (ESM). The so called permanent rescue fund for the euro area will come into effect in mid-2013, when the current, temporary fund (EFSF) expires. 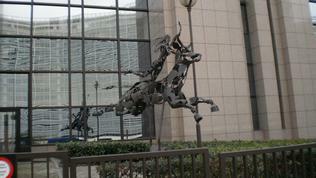 Today's meeting of the Eurogroup was the first for the new Finnish Minister of Finance - Ms Jutta Urpilaynen. She is the leader of the Social Democratic Party in Finland and has become financial minister after her predecessor Jyrki Katainen was elected Finland's prime minister. Read more on the topic later on euinside.eu.